Are eAuctions strengths also their greatest weaknesses? This article was inspired by our previous article “Are eAuctions Benefits also their Achilles Heel?” but focuses on why the outcome of an auction can/can’t be detrimental to a supplier, the value of communication for a supplier and why auctions are highly effective method if negotiating for suppliers as well as buyers. eAuctions are proven to be one of the most successful negotiation tools for any modern procurement professional. At Market Dojo, we’ve analysed our data to discover an average auction savings of 21% with just under £10 million sourced through eSourcing events in our tool. However, a supplier got in contact to mention that they will no longer take part in eAuctions and will only participate in RFx’s (Request for Information/Proposal/Quotation). When asked why, they said they had recently taken part in several eAuctions and that they had even finished in the pole position for an auction, only to see the business awarded to the incumbent. In this case, the supplier couldn’t understand why a reverse auction event that was centred on delivering savings, wasn’t just awarding business on the supplier offering the best value from the eAuction alone. In the CIPS guide to eAuctions its research highlights: “60% of buyer auctions are awarded to incumbent suppliers with only 22% of these suppliers reported having won an auction on price alone.” Although this can be understandably frustrating on the point of new suppliers, it’s also important to consider the bigger picture, that there might be larger implications (and costs) when changing suppliers. However, is the fact that your competitors have an advantage, a good enough reason to decide to not take part? After all…..
Auctions can be weighted to include quality as a measure factor in deciding the value of one commodity in comparison with another. In addition, many incumbent suppliers may be suffering from rising costs or market changes that influence their ability to offer a competitive price. While for hosts, eAuctions bring many benefits to table. They are quicker, more efficient, centralise information and bring greater transparency to suppliers than traditional sealed RFQ’s or face to face negotiations. In fact, they’ve also been claimed to improve supplier relationships (iAdapt research from UWE). In fact, we’ve received lots of positive feedback from suppliers that enjoy a process in which they can obtain immediate notification on their position for winning the business. Whilst, if the price negotiation was with face to face discussions, it is likely that the specification wouldn’t be as tight as in an eSourcing result that would be detrimental in obtaining the best value bids from suppliers. In essence, we believe that eAuctions are a hugely effective method for negotiating. 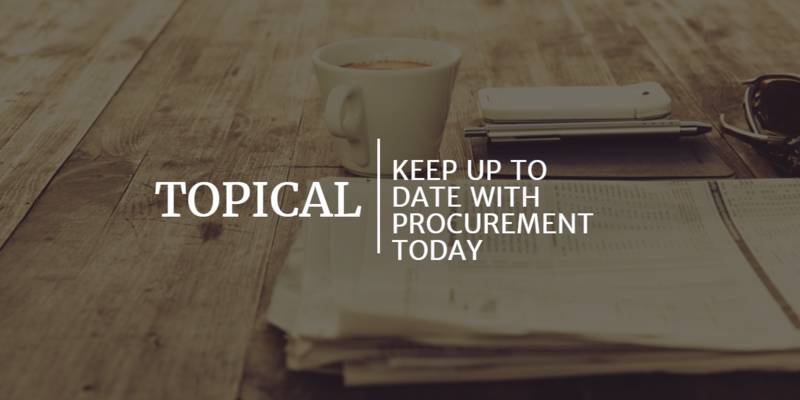 Both hosts and suppliers gain from the evident strengths of the tender process, whilst the fact that it’s a highly successful method for reaching market price might put off some suppliers. We believe it also makes it the best method for suppliers and hosts to reach the very best deal for themselves and each other.